We generally consume wheatgrass juice in empty stomach weekly once whenever they are available in the market as they contain huge amount of chlorophyll, which is an important blood builder. 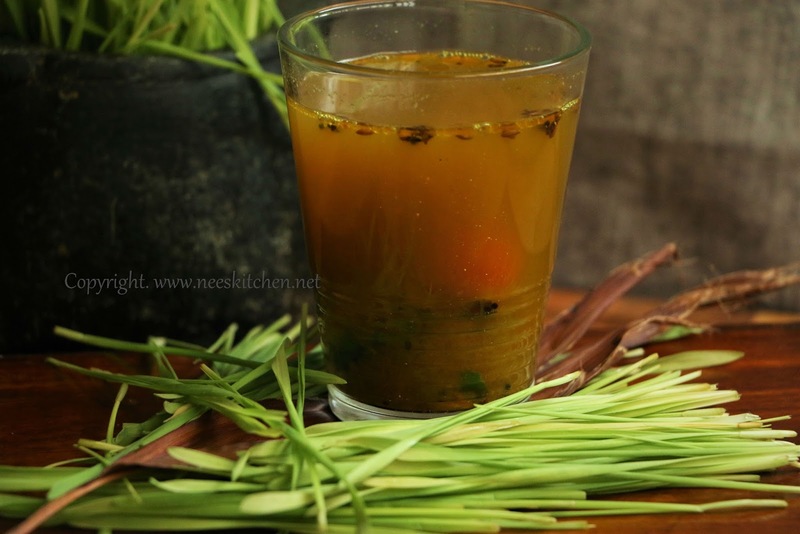 Wheatgrass juice combined with tamarind and cooked with tomatoes, rasam powder and finally tempered with spices gives this healthy wheatgrass rasam. This is one such grass which I can get easily in many shops in Singapore be it wet market or fair price. I choose wheatgrass mainly because of the chlorophyll which neutralizes toxins, controls blood sugar related problems and also helps to purify the liver. Since all of us don't like the taste of plain wheat grass juice, particularly kids, I add them in my dishes and rasam is one such dish where I add the juice. 1. Wash the wheat grass thoroughly. 2. 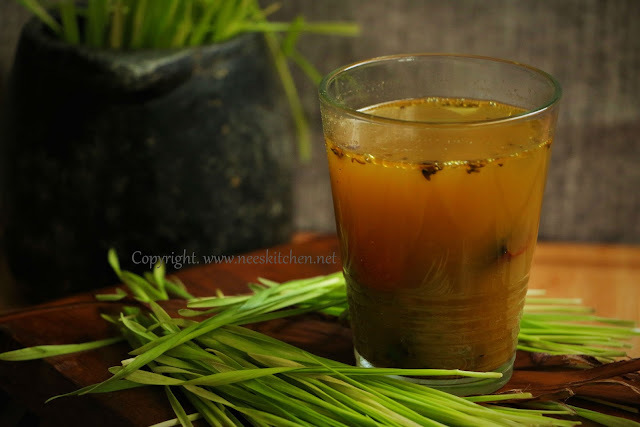 Blend wheat grass and tamarind. Add additional water if needed but do not go beyond 300ml for this measurement of spices. 3. Strain the wheat grass juice and throw the extra fiber which comes out after straining. 4. Take a cooking pot and add hing cake, tomatoes, wheat grass – tamarind juice, turmeric, salt, curry leaves and allow it to boil. 5. 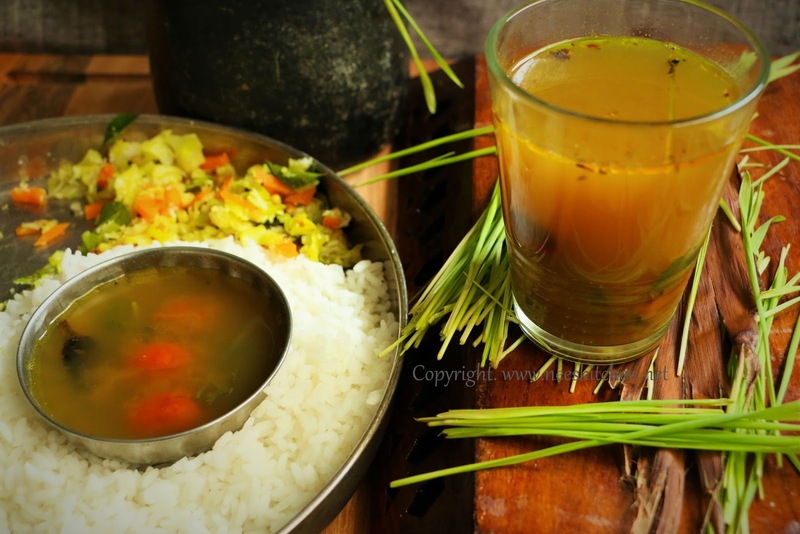 Once it is boiling add rasam powder and switch off the gas once it becomes frothy. 6. Temper with ghee, mustard, red chili and cumin seeds and add them to the rasam. 1. Garlic can be added. Temper it along with mustard & other spices.